Libreway is a Master System game by nitrofurano. CMJN is a game by nitrofurano. Brawl is a somewhat interesting new homebrew game for the Sega Master System. 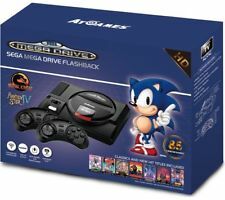 It mixes various known video games characters such as Alex Kidd and let you fight against other well known franchises. Also it takes backgrounds from Wonderboy and other games and mixes it up, which in sum makes up a nice gaming soup á la Super Smash Bros. The game is still in (slow) development and even Sonic is said to make his appearance in this game. Make sure to keep your eye on this project as it really develops nice. This is a perfect example of what free, non commercial, fan games can look alike. If you are one of the lucky ones who have a GDEMU, will interest this utility that lets you manage the content of the SD card for GDEMU of Deudan. I will be brief. . STOP SmashDC Mr. Siggler rewritten to KOS 2 (TA -> PVR). STOP. Another classic homebrew preserved. STOP. In Downloads -> IberDC . STOP. 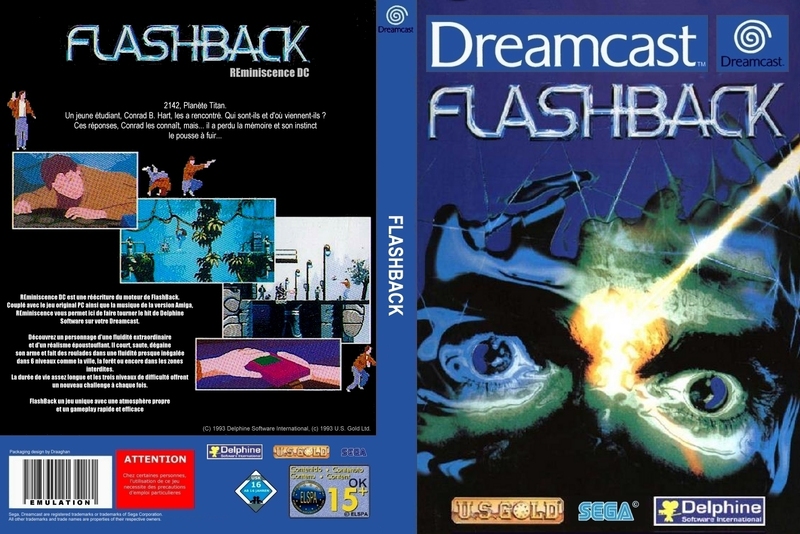 Importantly, in this case, both the game and the Dreamcast version was made ​​by the author, Christian Henz ! In this case, only I had to compile the latest version for the console. Moreover, remember that it is a WIP version:! IS NO GAME definitvo . simply a development version I have prepared a binary section downloads . Airball is a remake of the classic Atari ST but rewritten in SDL. There have been versions for other systems, like an exotic Nintendo NES. To commemorate the 25th anniversary of Airball, Clément Corde decided to rewrite a nice remake pixel-perfect (with original music) of this classic! There, we have converted in ball and have to navigate a maze to try extensive isometric restore our human form I better stop hook up and I put the video (thanks DCEric!). The binary (unscrambled) and the CDI will find him in Downloads -> IberDC . Heart of The Alien (HOTA) is the sequel is undoubtedly the best adventure of all time, Another World. 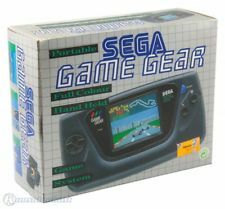 It was developed in 1994 by Interplay exclusively for the Sega CD. However, the community developed an opensource engine to make it work on multiple platforms (called Redux.) 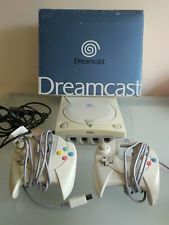 Most veterans will remember that there is already a port to Dreamcast, right! The previous port of LTK (aka. Uguru), was published (including source code) in the former DCIberia.net MadridSX and presented in 2006. The port served as a sample on how easy it was to modify a Makefile to compile on Dreamcast, because the port did not include support for music. Whatever we bring here is the NEW port of Guaripolo Indiket and adding music stand ! So, we can finally enjoy this great game as it deserves! What the heck! The theme of the #bitbitjam has been manipulated. The Mojon have hidden six evidences of conspiracy and you must find them. Support Leobot find evidence of manipulation. Leovigildo’s Murcian Conspiracy by Pixel Bastards is a Sega Mega Drive / Sega Genesis game relased at the BitBitJam 2014 coding competition. It’s pretty game on two little sprites shot each other jumping… while fight dolphins that eats onion fried rings controlled by the evil Leovigildo that conspires to conquer Murcia! Alright, preorders are open once again. This is a second production run and will probably be smaller than the first one, though that will depend on how much interest there still is in the device. Please note that if I’m again flooded with too many preorders I will have to make another waiting list. This worked well enough the first time around, just that the people near the end of the list will have to wait a few weeks. All the units in this run will be the screw mounted ones. I still have a few remote PCBs left, without parts, I can send them along GDEMUs free of charge if you want to solder one on your own. If you don’t know what this remote is for, you don’t need it. Please read the Ordering page (and all the other pages I’ve prepared) before asking me questions directly. In most cases the total price (unit, packaging, shipping, PP fees) is 110 Euro, if you’re fine with that please state that in your order. This will save me a round of emails, I’ll just send you a request to pay as soon as I have GDEMU unit to send. Less hassle for everybody that way. Assuming you give me your PayPal email address that is. UPDATE: Well, so much for not flooding my email. List is full, preorders are closed again. Seriously people, some of you don’t like me. I get that. I can assure you the feeling is mutual. But do I go out of my way to mail you with my incoherent rambling? No, I don’t. Is it really too much to ask of you not to spam my mailbox? I could understand if these guys were my clients and felt cheated out of their money – but they are not. GDEMU is what it is, perhaps not perfect for everybody, but I don’t force it on anyone. You don’t like it? Don’t buy it. You think you can make a better one? Prove it. Words are cheap. 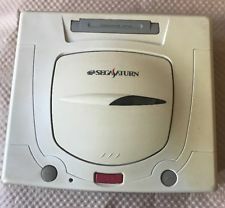 On the subject of making GDEMU, to avoid what happened last time, that is people missing the preordering window, I’m going to plan it this time. The preorders will open on 1st of July. Hopefully the rush hour has ended and I will be able to keep it open for some time. I was seriously not expecting that level of interest and as such it has taken so long to finish the first run. In other words, I did everything according to plan, except my plan did not account for selling everything in less than two days. Also, I’m imposing a limit of maximum one unit per person, this is because bigger orders are a real PITA for me. Two is possible as well but you’ll get two separate shipments – the first as soon as I can make it and the second sometime later. You only pay for one unit each time so you can always just cancel the second one if you don’t want it anymore. One is I buy the big chips for GDEMU in smaller quantities than a whole tray. That means the supplier has to repackage them for me, and apparently the last batch ended up in a malfunctioning machine or something. All FPGAs had some pins slightly lifted on one side and these did not solder down properly. I only discovered that after cleaning and during testing, which means a lot of reworking and more cleaning and testing is required. Which is very time consuming. Second is much trivial, my local post office run out of CN22 stickers and they’ve only just requested more. As (bad) luck would have it, most of the units I’m about to send this week go outside EU area, and need a CN22. So if I’m not able to get some more stickers in the main office the shipping of some GDEMUs will get delayed until I either get them of figure a valid way to print them on normal paper. Which everyone says is OK to do but you see, if not, it ends up being the recipient problem. So I’d rather spare you that if it’s only a few days of waiting. So, in about two weeks I should know exactly how many leftover units there will be, and I will make some more anyway. If only because there were some requests for more than two units and initially I refused that. Since I’m going to make more it makes no sense to start all this for just a couple units so it will be another production run. Stay tuned. That much is true, but there’s a funny story of how someone discovered that while being completly wrong about, well, everything else. However, I do not agree with the “being petty” acusation. Just because I didn’t share every tiny detail of how GDEMU actually works with the developers of other – let’s call them competing – projects, doesn’t mean I ignored them, or refused to help at all. And I have email history to prove that but hopefully I will never have to make it public. I’ve put a lot of my personal time, and money, into this project and I belive it to be my right to decide what I do with the knowledge obtained. Yes, I could’ve “shared”, but that would only result in other people making and selling their devices, and I would be left with nothing. Forgotten would be the best case scenario, but probably people would still demand I make further upgrades to their devices. For free of course. I bet each and every one of those who call for GDEMU to be cloned and cheaply copied behind my back would gladly work for free as well. So, in the end I refused a sale. For the first time, too. If you’re on a backup list – rejoice, I’m almost sure now I will be able to fulfill those preorders as well. And if you’ve ever wondered why my terms of sale sound like a legalspeak, and why I reserve the right to refuse sale or repair, it’s because I have to deal with people who have no clue but lot of demands. So, to reiterate: You’re buying GDEMU as-is. There might be a newer, better model released in the future and if you don’t like that, just cancel your preorder. Or buy one of the competing devices. Frankly, I’ve already reached my primary goal of raising money for software I need – and I would like to thank everybody who already purchased GDEMU for that. What I’m doing now is pretty much assembling and selling out the leftovers. That money will cover R&D costs for devices for other systems – and I make no promises as to what will come of that. Also, Dreamcast discs can be copied, at the very least in a sufficient way as to obtain fully functional backup images. These backups are nowhere near 4GB in size. There are SD (well, SDHC to be precise) cards bigger than 4GB and that has nothing to do with FAT32 limits of single file size or total volume size. And yes, PayPal could rain on my parade anytime by locking my account again. And finally, pretty please, read all the pages with instructions and explanations I’ve provided. If I sound like a prick answering your email questions then maybe it’s because I’ve already had to do it 100 times and by now it’s even more annoying than spam – because spam at least can be filtered out and/or ignored. Sega has detailed its lineup for E3, outlining a nice mix of cute-n-cuddly mascots and pointy, slimy creatures we really hope aren't lurking somewhere in the galaxy. 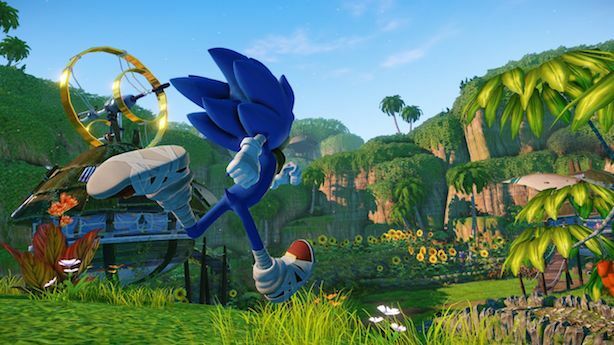 Alien: Isolation, Hatsune Mika: Project F 2nd, Sonic Boom: Rise of Lyric and Sonic Boom: Shattered Crystal will all be featured at Sega's booth in the South Hall. While playable builds are cool and all, it won't all be old news - an "exciting new game mode" for Alien: Isolation will be demonstrated for the first time on the show floor. Sonic's 3DS and Wii U games will offer a new stretch of gameplay and introduce Lyric, a technologically-proficient snake-like creature described as the "most vile and formidable villain in Sonic history." There's also Sonic's newest pal, Sticks, whom we feel compelled to warn about Sonic's social tendencies: He won't call you back, Sticks. You could be discarded after one game, just like the rest. Project Diva F 2nd doesn't have athletic tape on its shoes or cartoon animal sidekicks, but it will offer 20 brand new songs and 20 that were previously featured in Japan-only setlists on the PSP. The final build will also feature "80 brand new and remade fan favorite modules" and cross-save compatibility for those hoping to bust moves on both the PS3 and Vita versions. 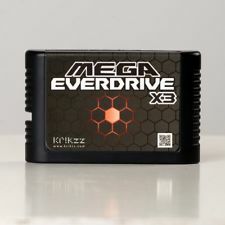 2048 is a logic game which has seen plenty of platforms as of now, also the Sega Genesis/Megadrive. Written entirely by Oerg866 including graphics and music. Without any forced airflow the convection alone is not able to cool the radiators below some 70°C. It doesn’t get any worse than this though, basically the PSU reaches thermal balance at this point and stays that way. 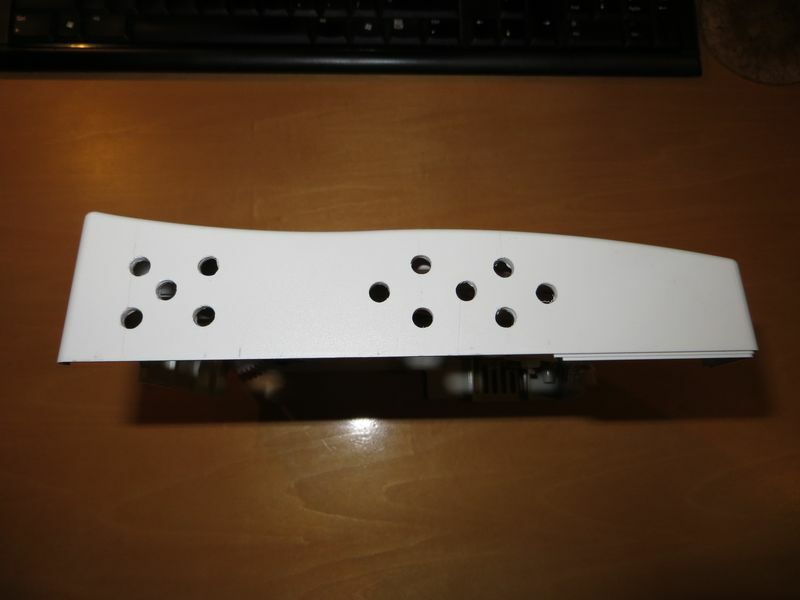 With the cover installed PSU will heat up to about 58°C. Running the console without cover and then reinstalling it after some time will cause the temperature to drop eventually. In other words, the airflow inside the case does make some difference. Even without a disc inserted the original drive pulls some current from 12V line. GDEMU doesn’t (and uses much less power in general) so it’s possible the PSU is running in a bit less efficient way now. Keep in mind this a 230V PSU, the 110V one might behave differently. I’m going to test that as well in a day or two. Still, the capacitors in the PSU are 105°C rated so 70 rather than 58 degrees is not going to suddenly damage them. If this thing was properly designed it should handle even less favourable conditions than that. After all SEGA guys did put the fan on the opposite side so overheating the PSU was not a major concern for them. Even patched to allow all region booting, some games will not work. This has nothing to do with GDEMU, it’s in the game code. Most games can be easily patched but some require a specific video output to be present – for example, USA region game might not work with RGB cable which is pretty much the default in EU. And there are a few titles that will just not work in non-native region, period. In general it’s strongly recommended you stick to games for your region, and if you want to experiment then at least check how the original behave before you blame GDEMU. Seriously, get a clue, it’s starting to get annoying having to explain this over and over again. Lately another issue popped up, apparently Dreamcast power supply unit can get a bit hotter when using GDEMU instead of the original drive. I never had that issue and it wasn’t reported by anyone else so far, but I suppose it’s possible that without the drive blocking off most of the direct route from the back of the unit (where the “gills” are) to the fan in front the PSU gets less airflow around it. I’ve been running GDEMU, it’s various versions, for many, many hours now, including no cover and open lid / not fully closed lid situations. I’ve never noticed the case to be strangely hot but I did not actually measure the temperature on the PSU itself. The report I got claimed it could heat up to just below 70°C. I don’t think it’s a problem, if you look at the design you will notice it never got any significant airflow either way and worked just fine. But for those worried I suggest you put a piece of cardboard screen fashioned to form a tunnel between the back, the PSU, and the fan. Do not remove that plastic cover though, it’s there to make sure the metal heat spreader is well insulated from mains.